Trion Worlds, the studio behind cross-media MMO Defiance, has laid off an as-yet-unknown number of its employees. The last time Trion Worlds was in the news was mere days ago. At that time we reported that RIFT, one of the company's two major MMO titles, would be switching to a free-to-play business model later this year. Beyond that shift, things seemed rosy for Trion Worlds, but the events of this morning paint a darker picture. 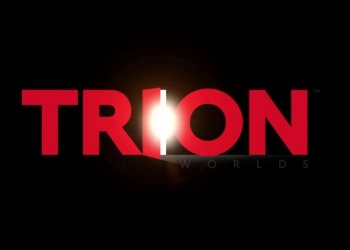 A few hours ago Kotaku published what was effectively a rumor, that Trion Worlds had laid off a number of its employees. According to Kotaku's anonymous source (reportedly an insider at Trion Worlds), these layoffs "affect about 70% of the company," though its currently unknown exactly how many people have lost their jobs. To best position Trion in a rapidly changing industry, we have reorganized our teams and are expanding our free to play offering. With Defiance, we delivered a great game that more than one million gamers registered to play and continue to enjoy. As we progress from launch to ongoing development of the game, we are adjusting our staffing levels to deliver new content and improved features. RIFT, and our other titles in development, were unaffected by these changes. We are very much looking forward to the free to play release of RIFT and are excited by the other new titles currently in development. If any of that sounds familiar it may be because this is a relatively standard, boilerplate explanation for layoffs in the gaming industry. When a development project ends, studios often lay off workers en masse. That doesn't make it any less of a tragic event, but it does serve to indicate that this purge is best categorized as "business as usual," and that we should expect layoffs like this to continue to occur periodically until such a time as there's a major shift in how game development works. Despite this explanation, we have nothing but sympathy for those who suddenly find themselves out of work. Here's hoping they can all find gainful employment tout de suite.